King's writing is smooth. It always has been. And now it's leaner, too. This and Doctor Sleep feel streamlined compared to his earlier stuff (not his early stuff). This book seemed like it could have been outlined, plotted even, before King sat down to write, even though King says he doesn't do that sort of thing. I liked this book's structure. Every scene, set piece had its mirror or counterpart later on in the narrative. 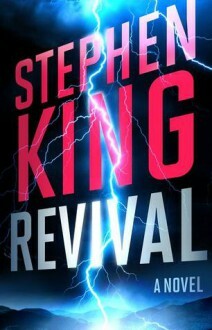 King's publishers like to tout his books as being SCARY AS HELL TALES OF HORROR, whereas I think most folks who have been reading him for decades think of his books as Stephen King books, not horror novels. With that being said, I wasn't disappointed in the least to find that most of this book doesn't read like a horror novel at all. In fact, some of the horror elements sprinkled in here and there throughout the narrative felt a bit tacked-on and out of place. I liked the relaxed pace of the book, the characters, the settings, the themes. I pretty much liked it all. But I especially liked the ending. Maybe the marketing team at his publisher got it right this time. That ending really does make this thing a true horror novel.